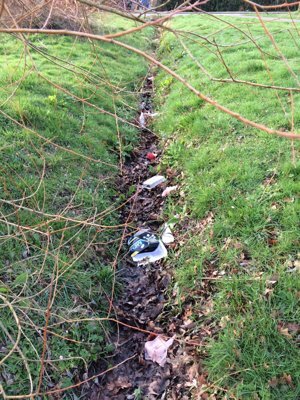 As many of you may be aware litter begets litter and is something which blights the UK. Cobham is no exception. 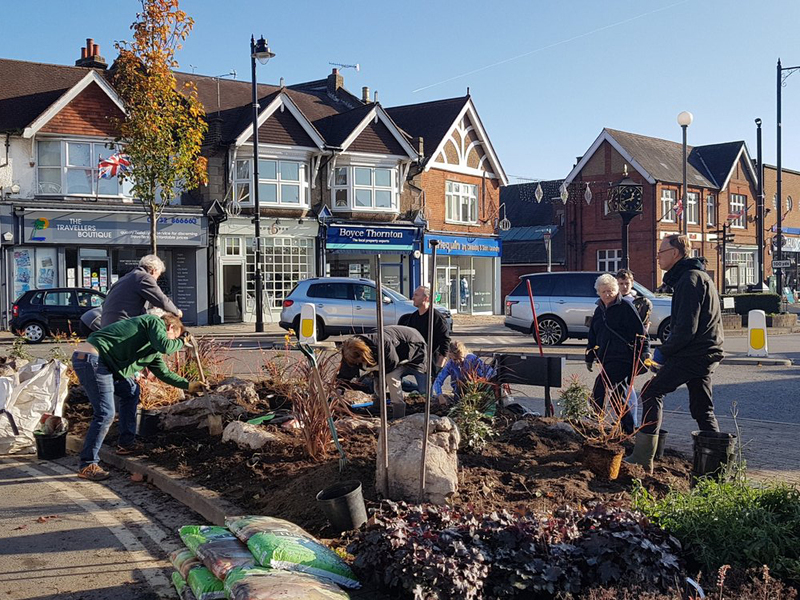 Whilst Oxshott and Bookham have their own regular community litter-picks and Transition Cobham do their wonderful bit for our community, we at Cobham Heritage would like to do our bit too. Please join us, if you can, every first Sunday of the month at 2pm to litter-pick one of our Conservation areas in Cobham, Downside and Stoke d’Abernon. 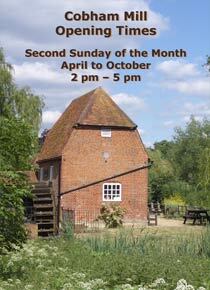 The first of these will meet on Sunday 5th May at 2pm in Cobham at the junction of Church Street and High Street. Please bring gardening gloves (or similar) and suitable attire. 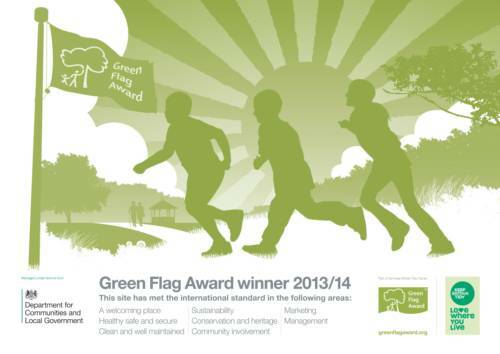 Cobham Heritage will provide a number of high visibility vests as well as litter pickers in addition to litter bags. 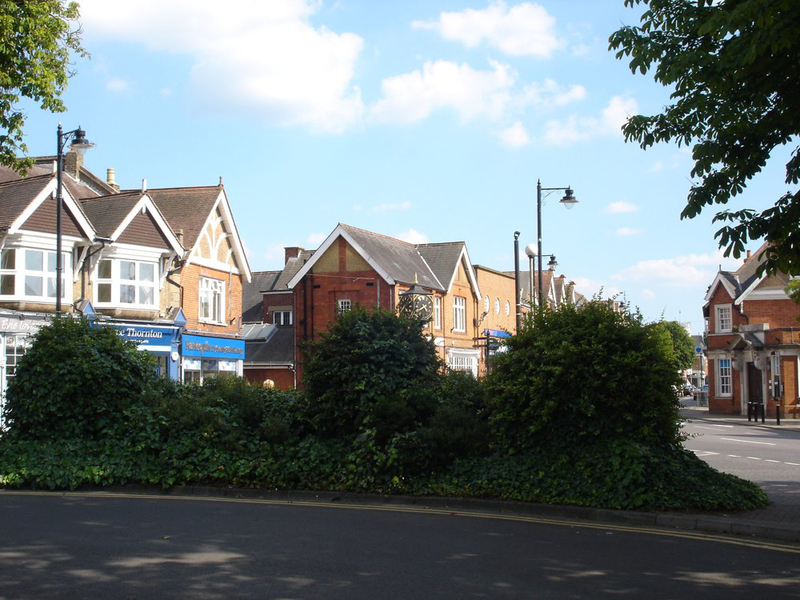 Cobham Heritage will also coordinate with Joint Waste Solutions for the collection of litter collected. We appreciate that, in our busy lives, finding a time and day to suit all is impossible. However, the allotted time will hopefully allow for churchgoers in the morning and some luncheon. Please do not feel that you need to commit to every monthly litter-pick. However, whether you are able to support this initiative, please do consider doing your bit (something I am sure many of you do in any event). 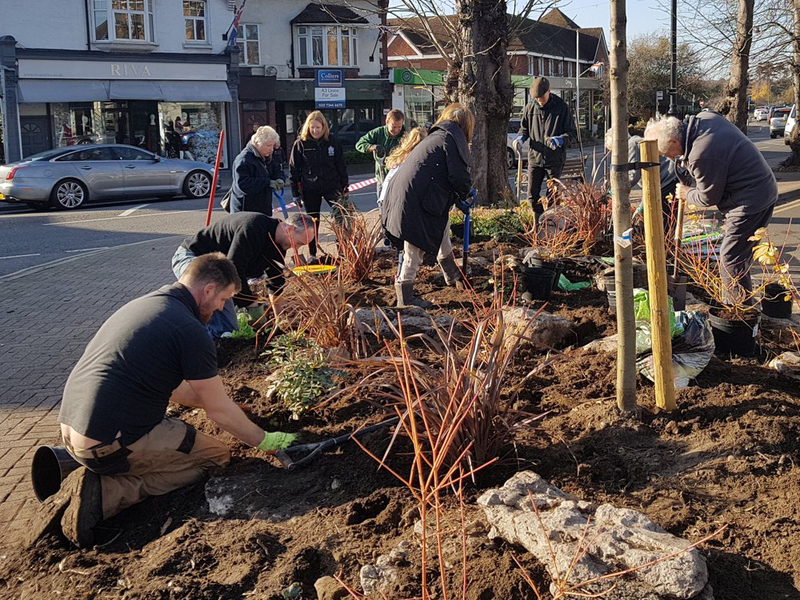 This may be pledging to pick up one piece of litter every day, litter-picking outside your house or even your street (well done if you live on the Portsmouth Road!). Elmbridge BC services and enforcement officers rely on proactive engagement from the public. So please report a dirty street, fly tipping or a littering offence (particularly from a vehicle). 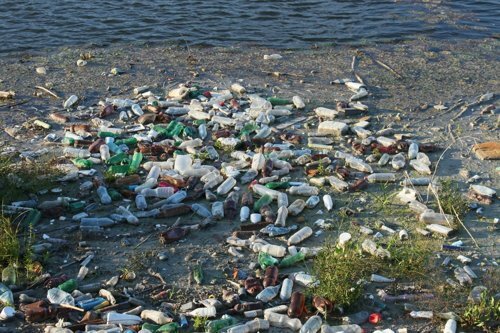 “We are faced with the horrifying offence of pollution (…) Millions of us on this island using non-returnable bottles and indestructible plastic containers. It is not difficult to imagine the mountains of refuse that we will have to deal with somehow"
said Prince Charles in 1970. “Never take anything for granted” but, of course, we all do. 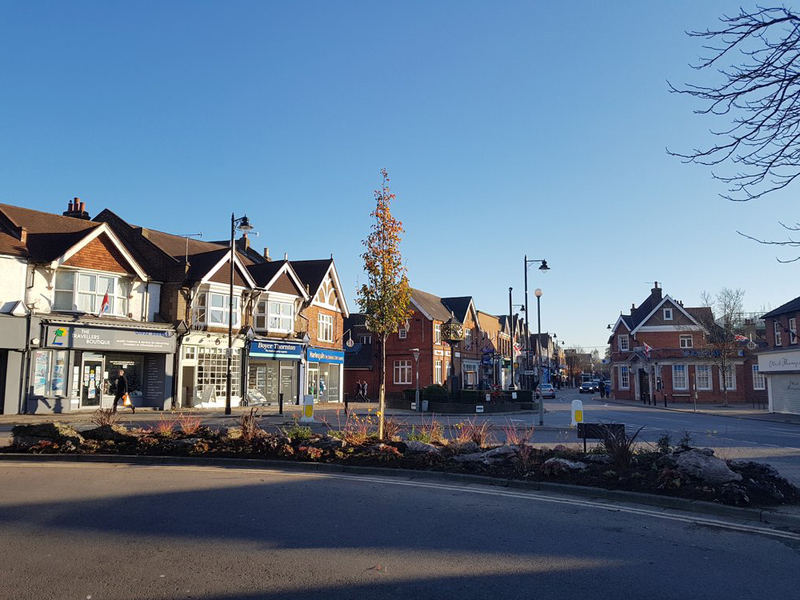 We may live in Cobham or pass through it, but I wonder if we ever pause to appreciate its interesting features or stop to reflect that it takes careful thought, skilful planning, and a great deal of effort to preserve the things that give us pleasure." These words were written by our President, Gordon Mills in the Foreword to the Short History and Guide to the Cobham Conservation Areas in November 1980. He was, at the time, the Chairman of the Cobham Conservation Group. 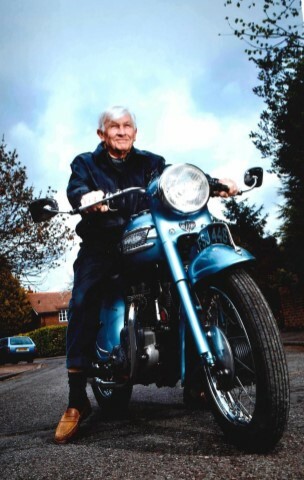 Sadly Gordon passed away on Monday 11th March 2019 and he will be a great loss to the community. Gordon was born in Cardiff on the 22 September 1931. He moved to Cobham when he married Olive in 1956. He worked for the Ecclesiastical Insurance Group all his working life, being their longest serving employee when he retired as a Chief Surveyor. The nature of his work gave him a great insight into the architectural features and history of Churches, Cathedrals and Stately Homes. 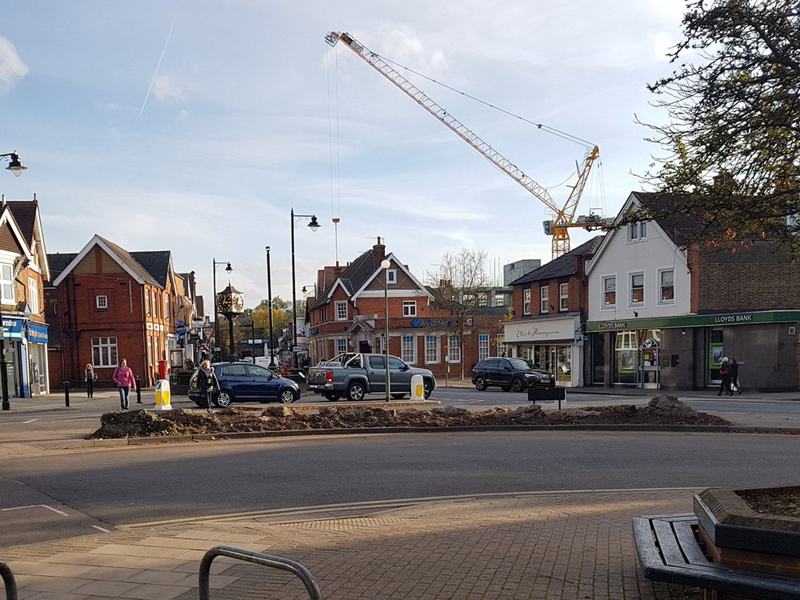 The demolition of Gamage’s store on Cobham High Street was the catalyst to create Cobham Conservation Group in 1973, with others who were passionate to preserve Cobham. 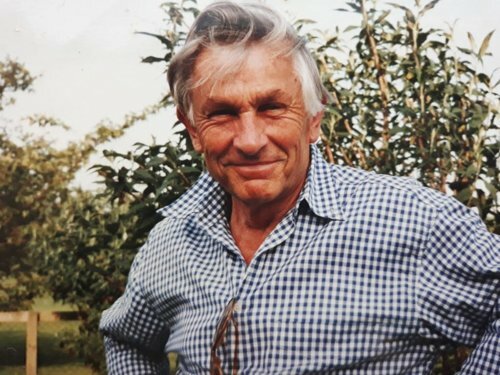 He was Chairman of the Group for many years and was proud of the group’s achievements, with conservation status being awarded to various parts of Cobham and Downside. When the Conservation Group was relaunched in November 2005 as the Cobham Conservation & Heritage Trust, Gordon became it’s President. 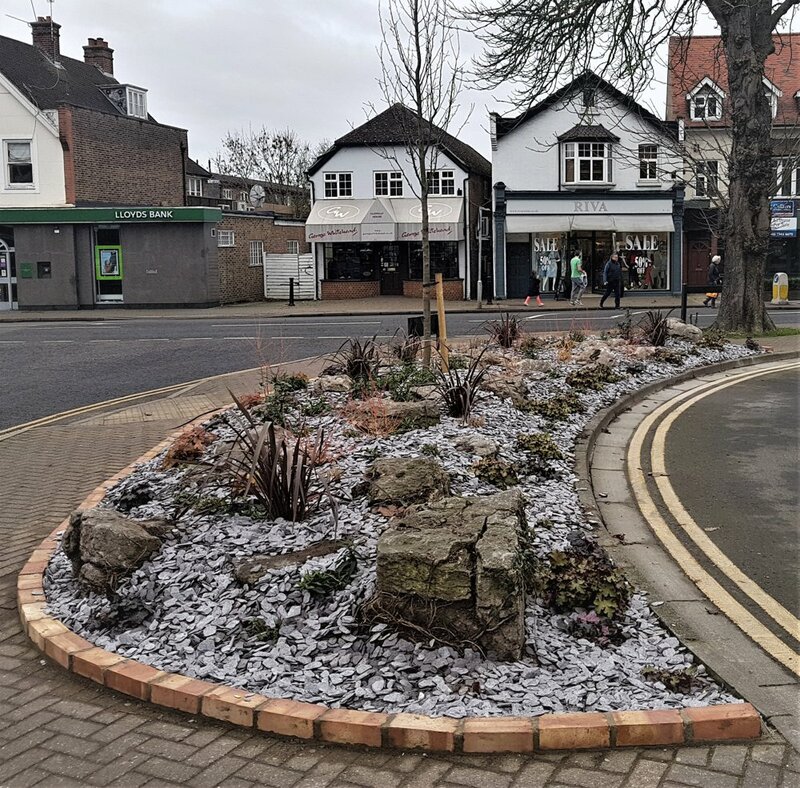 Gordon was an active member of the community, being involved with the Labour Party, 1st Cobham Scouts, School PTA’s, and in the restoration of Cobham Mill. He was a JP, and as a magistrate sat mainly in the family court, initially at Walton until it closed, and then at Guildford. He vigorously campaigned for a footpath from Cobham to Downside, and the building of a bridge at Ash Ford which has enabled thousands of people to enjoy the circular walk from Cobham, through Downside and back via Stoke D’Abernon. Gordon was married for over 60 years to Olive with a son, a daughter and seven grandchildren. 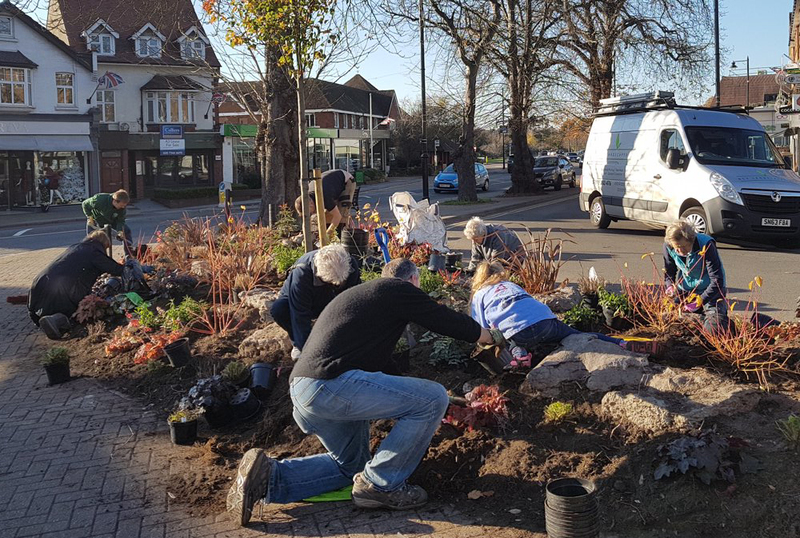 To mark their diamond wedding anniversary the family commissioned a bench to be placed on Downside Common for others to enjoy the conservation area he cared about so much. 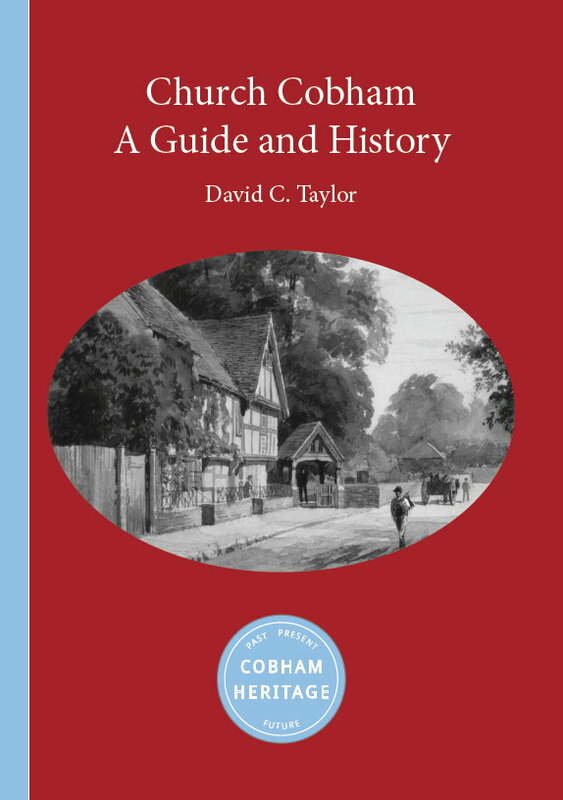 Cobham Conservation and Heritage Trust is delighted to announce the publication of its latest book in the series "A Guide and History" written by our local historian Dr David Taylor. "Church Cobham, A Guide and History" provides a brief history and guide to the many interesting buildings that still exist in Church Cobham - the first Cobham Conservation Area. This book together with "Cobham Tilt, A Guide and History" and "Downside, A Guide and History" make ideal Christmas gifts and will be available for sale at the Trust's Open Meeting on Wed 12th December 2018. Each book is is normally £7.99 but are only £6.99 each if you buy them direct from the Trust. The proceeds from these books will go to help fund the work of the Trust and we thank Dr Taylor for his support. 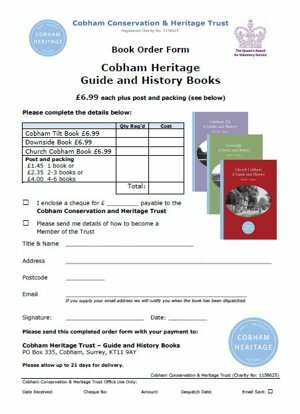 All three books are also available from the Cobham Bookshop or direct by downloading and completing the order form below. 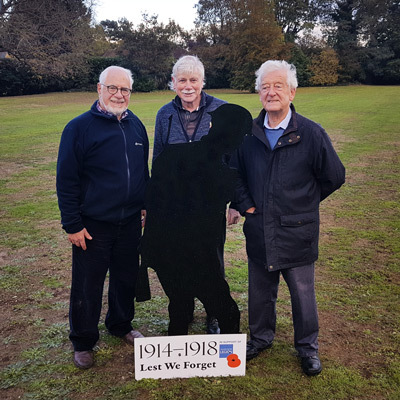 Cobham Heritage has purchased a 'Silent Soldier' silhouette to be part of a movement to say 'Thank You' to the First World War generation who served, sacrificed, rebuilt and changed the nation. 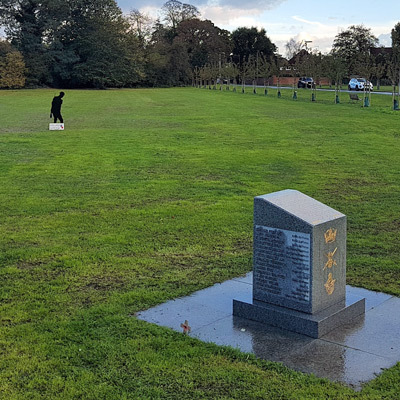 The silhouette has been positioned on the Tilt near to the WWII memorial as an act of Remembrance and to support the valuable work of The Royal British Legion. 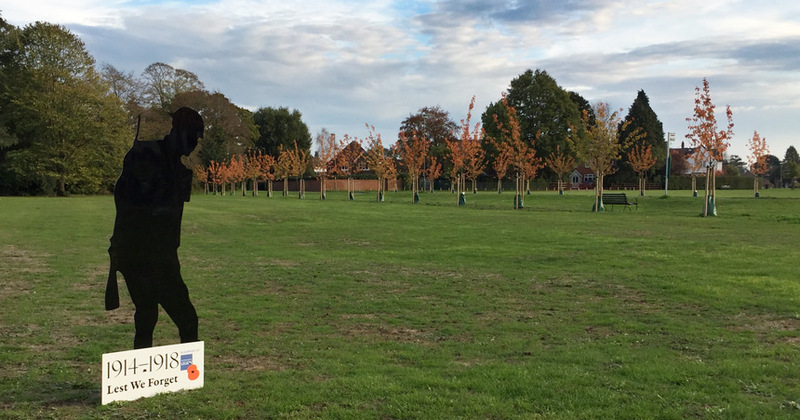 The silhouettes are being displayed across the country by businesses, local authorities and individuals as a reminder of the sacrifices made during the First World War.